Before Christopher Nolan blessed us with The Dark Knight Trilogy, Warner Bros. had to go through a bit of a learning curve with the Batman film franchise, to say the least. Sometimes, you have to find out the hard way that a good script and a solid movie ultimately trump how many potential toys you can shoehorn into a summer tentpole. So, like it or not, Batman & Robin needed to happen in order to teach studio executives a valuable lesson. One move that remains controversial to this day is that of Arnold Schwarzenegger’s casting as Mr. 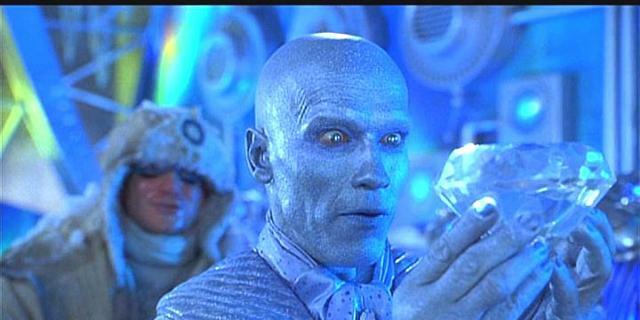 Freeze in Joel Schumacher’s second crack at the Caped Crusader. Despite the Governator being one of my favorite onscreen personalities of all-time, I have to concede in saying that he probably wouldn’t have been my top choice for the iconic villain. But, call me crazy, he’s pretty much the sole reason I include Batman & Robin in marathons of the series. To me, the cheesy ice puns delivered in his trademark accent are cinematic gold. It’s kind of interesting that he brought up Spider-Man, especially knowing that he very well may have played Doctor Octopus if James Cameron’s take on the wallcrawler had become a reality back in the 1990’s. As for which other Batman baddies Arnie would be a good fit for, I’m hard pressed to think of one at the moment, but you’re free to offer some suggestions of your own in the comments section down below.